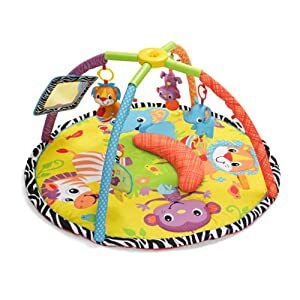 Infantino Twist and Fold Activity Gym For Baby is on sale at Amazon.com for $33.99 with free shipping. 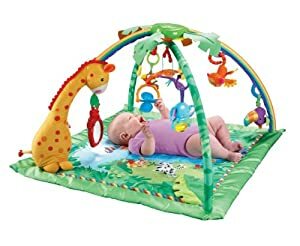 Infantino Square Twist and Fold Activity Gym For Baby is on sale at Amazon.com for $39.98, Plus Free Super Saving Shipping & Free Returns. Fisher-Price Rainforest Melodies and Lights Deluxe Gym Amazon 这个小孩子躺着玩的gym 打折只要39刀 with free shipping, 原价70刀， 是目前为止的最低价了。非常好的reviews. 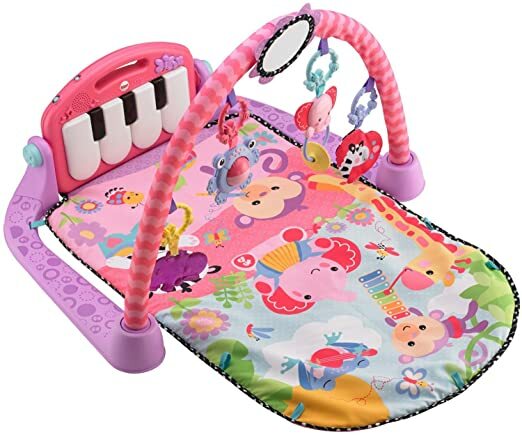 Fisher-Price Kick and Play Piano Gym, Pink 女孩子用的健身垫， 现在打折后只要 $19.99一个 (reg. $44.99), get free shipping on an order of $35 or more OR snag free 2-day shipping with Amazon Prime. 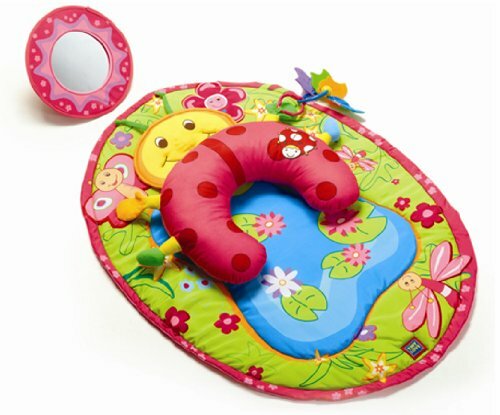 Amazon now is offering up this Tiny Love Tummy Time Fun Activity Mat in Ladybug on sale for only $14.99 (regularly $27.99). Purchase from Amazon and get free shipping on a $49 order, OR get free 2-day shipping with Amazon Prime (you can sign up for a FREE 30-day trial here!). 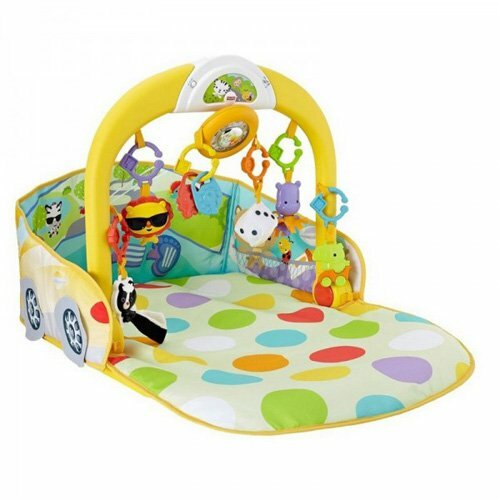 Amazon.com now you can get this Fisher-Price 3-in-1 Convertible Car Gym for only $28.30 (regularly $59.99). There are 3 ways to play including Lay and Play, Tummy Time and Sit and Drive, plus 20 minutes of music and lights! 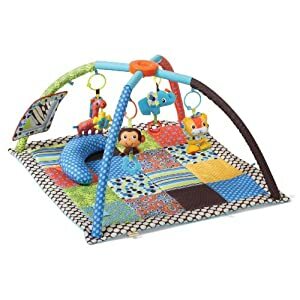 Amazon now you can get this Infantino Grow-With-Me Playtime Teepee for only $55.99 shipped when you clip the 20% off coupon. 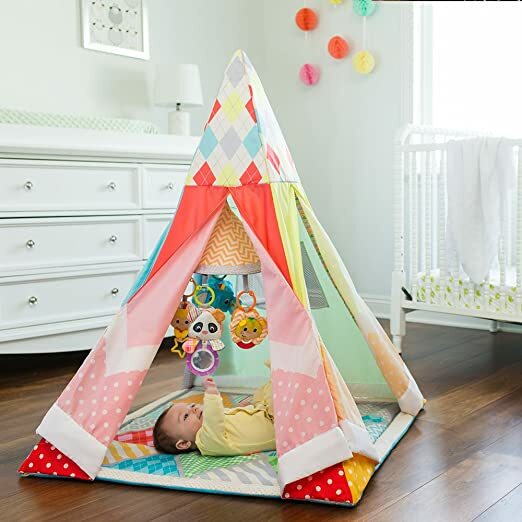 This infant gym transforms into a pretend play teepee for ages 0-3 and includes hanging toys, mirrored mobile, and musical sound effects! Measures 34″W x 34″D x 44″H. 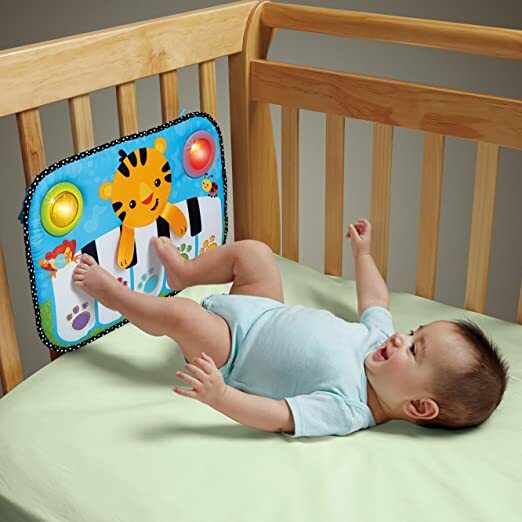 Target.com now you can get this Fisher-Price Kick N Play Crib Piano for just $12.99 – regular $26.99! Free in-store pickup. 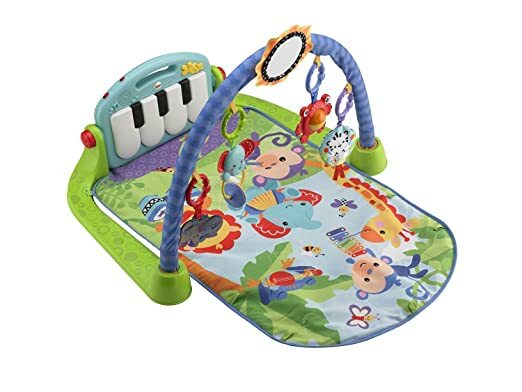 OR Amazon Prime members only can also get this same Crib Piano for $12.99 shipped! Amazon.com now get this Fisher-Price 3-in-1 Convertible Car Gym for just $32.79 shipped (regularly $59.99) after you clip the $10 off digital coupon – lowest price! This play mat has different 3 ways to play: Lay and Play, Tummy Time, and Sit and Drive, so it will grow with your little one. It features 20 minutes of music and lights, plus 8 moveable activity toys. Fisher-Price Piano Gym, Kick and Play 费雪家的婴儿 Kick and Play 运动垫。 piano keys 可以通过 kick 放音乐。附带 5 busy activity toys and a large mirror， Toys include a hippo teether, elephant clackers, rollerball frog and more。 减价后只要 $19.99 一个 with free shipping and free return. Walmart.com now you can get this highly rated Bright Starts 2-in-1 Silly Sunburst Activity Gym & Saucer for just $44.97 shipped (regularly $84.92). This activity gym has a light bar that transfers from a play gym to an activity table. The toy bar entertains with colorful lights and offers 3 ways to play: lights only (for quiet play), baby-activated and continuous play for 20 minutes of lights and music. In addition, this gym has a leaf teether, ladybug roller, turtle with spinning paddle, and bug bead chaser. On Amazon.com you can now buy this highly rated Graco Pack ‘n Play Portable Playard in Carnival print for just $36.97 shipped (regularly $49.99). 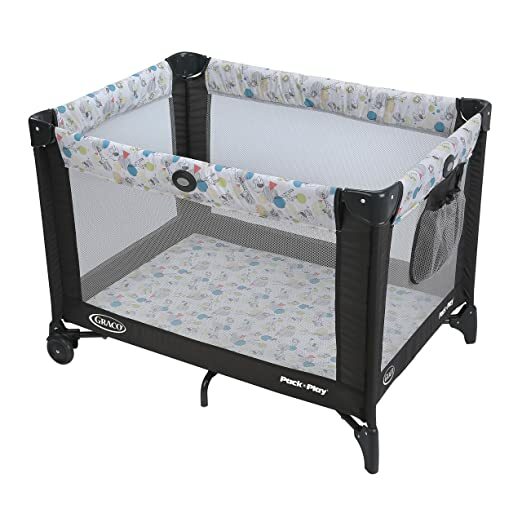 This playard easily sets up and collapses thanks to the Graco push-button fold that allows you to break it down in seconds. And the automatically folding feet and wheels make it super compact when folded. This would make a great baby shower gift!